Provides technical assistance to applicants preparing for private, commercial, or flight instructor pilot certificates with a helicopter or gyroplane class rating. In authoritative and understandable language, here are explanations of general aerodynamics and the aerodynamics of flight, navigation, communication, flight controls, flight maneuvers, emergencies, and more. The handbook is primarily intended to assist individuals who are preparing for the parachute rigger airman knowledge test and the oral and practical test. The material presented in this handbook is appropriate for senior and master parachute riggers. 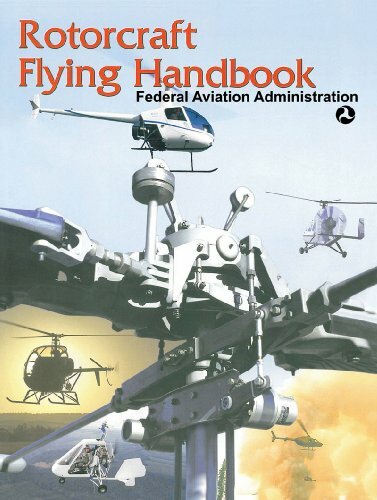 Providing aviators with comprehensive information on the advanced avionics equipment available in technically sophisticated aircraft, this FAA handbook covers a wide range of subjects about the essentials of operating cockpit-computers. Evelyn Charles Vivian (1882 - 1947) gives a detailed account of the history of aeronautics through 1920. Famous fliers are discussed and the evolution of the aeroplane is covered. The advancements in engine design are also included. Early in 1919, a young Naval Aviator predicted that trans-oceanic flight was 'a perfectly safe and sane commercial proposition, not a gigantic gamble.' The U.S.Navy NC-4 proved how right he was with the first flight across the Atlantic.